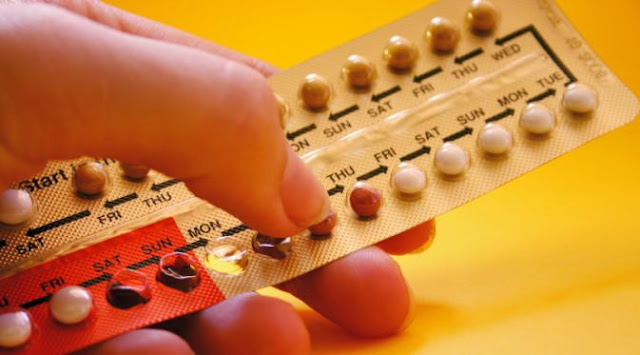 Contraceptive pill or birth control pill, is one of most ancient birth control method. It was invented back in 1960 and its demand has never diminished to date. Contraceptive pill remains one of the most widely used birth control by woman here in Kenya. This is largely because, compared to other birth control methods in Kenya, it is easy to use, safe and very effective. The pill is hormone based and is taken orally. Like I mentioned, the pills are hormone- based. They therefore work by releasing hormones which inhibit the different biological processes that may lead to pregnancy, for example ovulation. Prevents ovulation i.e. inhibits the ability of an ovary to release an egg each month. Prevents the sperm from reaching and fertilizing the egg. This is done by thickening the mucus membrane which makes it difficult for the sperm o penetrate the membrane and reach the egg. Note that the mucus, which is found around your cervix, is the fluid that helps the sperm swim to the egg. Thickened mucus will therefore make it hard for the sperm to reach the egg. Thinning the endometrium. The endometrium is that part of your uterus where the egg will implant after fertilization by the sperm. Thinning the endometrium will make it difficult for an egg to implant, therefore preventing pregnancy. It is the most common and widely used contraceptive pill. The pill is called combined because it contains two hormones; progesterone and estrogen. These two are important inhibitors of pregnancy. These hormones are usually artificial, meaning they are man-made but the female body also produces the natural types. You take one pill every day at around the same time for 21 days i.e. three weeks. After the 21 days, you have a break of one week (seven days) during which you will have your period. You then start taking the pills again after that one week break. Take note that if you don’t strictly take the pill at the same time every day, it could become ineffective and fail to prevent you from getting pregnant. Women who have had miscarriages or abortions can start using the pill within five days. It has been reported to reduce risk of cancer that affect ovaries, womb and the colon. Reduces the pain you feel during your periods. It also makes periods regular and lighter. Although in rare cases, combined pills have been associated with increased risk of breast cancer and thrombosis. A few uncomfortable side effects may result from using the pill. These include headaches, nausea, breast tenderness e.t.c. If these symptoms persist, try using a different pill or consult your doctor. The estrogen in the combined pill makes it easier for blood to clot. Clots in blood may cause heart attack, stroke, vein thrombosis (in your leg) and pulmonary embolus (clot in your lung). The risk of developing blood clots from using the combined pill is however very rare. Consult your doctor to see if you have any risk factors that may lead to this. Some research work have connected the usage of combined contraceptive pills to breast cancer, liver cancer and cervical cancer. Hormonal contraceptives have been shown to make women vulnerable to breast cancer. The good news however, is that these risks are usually mild and many women do not face them. The benefits of using the contraceptive pills will always outweigh the risks. Can you use the combined pill? If you are healthy and do not have any of the risk factors that may cause the pills harm your body, there is no reason why you shouldn't use it. This one is also known as the progesterone-only pill. As the name suggests, it contains only one type of pregnancy inhibiting hormone; progesterone. The progesterone dose in mini pill is however lower than that in a combined birth control pill. This pill is usually prescribed to women who for some medical or other reasons, cannot take estrogen. These include woman who have high blood pressure, history of blood clots or are overweight. Unlike the combined pill, the mini pill is taken daily without the one week break. Three-hour progesterone-only pill- taken within three hours of the same time every day. 12- hour progesterone-only pill- taken within 12 hours of the same time every day. Progesterone only pills come in packs of 28 pills. Like the combined pill, you have to take one pill each day at around the same time. Skipping the pills will make them ineffective. You have to continue taking even when you fall sick or experience your period. If you gave and want to use the mini pill, you can do so within 21 days of giving birth. If you had abortion or miscarriage you can still take the pill afterwards. Do not use the pill if you have/have had breast cancer, liver cancer, heart disease or vaginal bleeding. Can be used by breastfeeding mothers unlike the combined pill. May be less effective if you don't take it at the same time everyday. Cannot protect you against STIs. How effective are contraceptive pills? When taken with strict adherence to prescriptions, the pills are usually 99% effective. CDC reports that contraceptive pills, have 9% failure rates. This means that if 100 women use the pill, only nine of them may get pregnant. The failure can be due to medical reasons or failure to adhere to instructions. You should also consider the types of medications you take with the pills. Some of them for example, antibiotics, HIV medications and some anti-seizure medications may make the pill less effective. You should consult your doctor on more information about which medication to take or not to take with contraceptive pills. Vomiting and diarrhea will also reduce the effectiveness of the pill as it may be removed from the body before it is fully absorbed.